Dawn on the Moscow river is the prelude to Moussorgsky's last opera Khovanschina which was left unfinished at his death. The work was at an advanced stage of composition, and performing versions have been produced by Rimsky-Korsakov (1886) and Shostakovich (1960). The title of the opera translates loosely as “The Khovanschy Affair”. The plot explores the reforms of Peter the Great in the early eighteenth century. Peter does not appear, and the story is unfolded through iconic figures symbolising different elements of the Russian society. Prince Khovanschy of the title represents the powerful wealthy aristocrats who ruthlessly controlled their individual domains. He is seen in the first scene full of confident swagger, surrounded by a bullying militia, but later in the opera is the victim of a political assassination. The second social group is made up of the wastrel land owners. Prince Galitsin, the representative of this group is seen to be obsessed by mystic practices while his estate goes to rack and ruin. His fate, later in the opera, is banishment. The old believers, an offshoot of the orthodox church make up the third group described in the opera. In the famous final scene they have been driven into the forest by Peter's soldiers, and rather then surrender they build a huge pyre and burn themselves to death while singing orthodox chants. The two performing versions are considerably different. Rimsky-Korsakov clearly sees the work as a glorification of Peter the Great. Shostakovich in contrast sees Peter as a tyrannical despot, not too different from Stalin. On balance his version makes the action of the opera more credible and coherent. It is a rare combination of different musical genius. 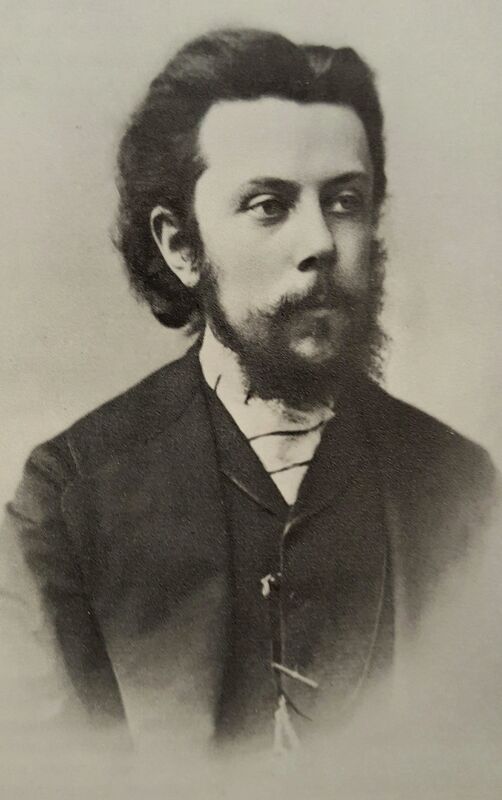 Mussorgsky, who worked as a minor civil servant, was a member of a group of five amateur composers known as the “Mighty Handful”. The other members were Balakirev, Borodin, Rimsky-Korsakov and Cui. They were pioneers of a new nationalistic approach to Russian music favouring folk idioms and simple lyrical beauty and opposing the intellectual approach of contemporary German composers. Mussorgsky was the one who best realised ideals of the group. When Rimsky-Korsakov joined the staff of the St. Petersburg Conservatory, and began to use strict forms and counterpoint in his works, Mussorgsky referred to him as “a soulless traitor”. Dawn on the Moscow River is a perfect example of his work. It is based on one long simple lyrical melody in the Russian folk style, which is played several times in different orchestrations and harmonisations. After a rising figure on the strings suggests the first light of the sun the theme is passed around the orchestral instruments, growing in confidence, until we hear it weaving around the distant solemn chiming of the bells of Moscow. The theme then takes life in the warm key of F# major, before fragmenting into a quiet conclusion. During his lifetime Mussorgsky never gained any fame or reputation and lived in poverty finally dying from alcohol poisoning on March 28, 1881. He was interred at the Tikhvin Cemetery of the Alexander Nevsky Monastery in Saint Petersburg. Sadly his alcoholism severely impaired his compositional activities, and consequently his output is comparatively small. However his operas now stand among the greatest ever written and reach to the very soul of the Russia of his time. Dawn on the Moscow River was performed by the Portobello orchestra on the 4th July 2009, conducted by Anthony Weeden.